Choose your own path while you enjoy breathtaking storylines. Every choice you make will matter. Dive into immersive visual stories that mix together romance, adventure, and drama. But choose wisely! Your decisions will change the course of each one of these thrilling tales! - Customize your main characters’ avatars before you begin their story. - Make choices that will determine the fates of dozens of fascinating characters. - Discover all the potential endings to these exciting stories. - Explore high-quality storylines in this interactive book game. 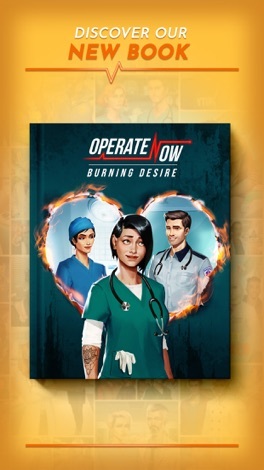 - Enjoy an exciting drama featuring characters from Operate Now: Hospital. - Continue your adventures as new stories and updates are added regularly. Play as Hazel, a new surgeon who’s just been terminated after receiving a series of anonymous complaints. But she won’t stay unemployed for long as a fire ravages a nearby apartment complex. 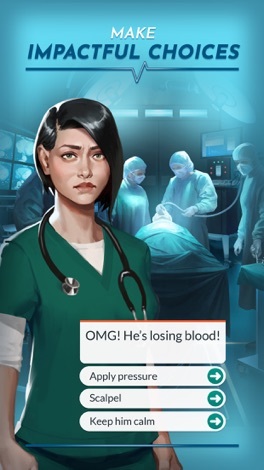 - Follow the thrilling story of Hazel, a young surgeon. - Save the lives of patients who desperately need your help. - Fall in love with Reo and enjoy an epic love story. Alicia is a frustrated waitress who would much rather be a famous writer. 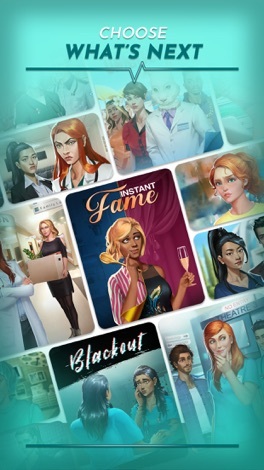 She may just get the chance after she receives a mysterious offer to go searching for celebrity gossip behind the gates of Babylon Beach Hospital, a luxurious plastic surgery clinic. - Figure out the identity of the mysterious Dr. Rabbit. - Discover the truth behind the disappearance of a famous pop star. - Dive into the middle of an exciting love triangle. BOOK 3 - HOPE M.D. Play as a hotshot surgeon named Madeline Hope as she races from Boston to her hometown of Shelton Bay. A hurricane is on the way and it could forever change the lives of everyone she holds dear. - Go in search of your father after he goes missing in the storm. - See if you can rekindle your relationship with an old high school crush named Thom. - Secrets, intrigue, and passion can all be found in Hope M.D. There’s only one choice that you need to make right now: are you willing to keep up with all of these breathtaking dramas as Story Beats unfolds right before your eyes? Story Beats is a free interactive story game, but you will be able to purchase in-game items and premium content with real money. FreightWorks Transportation & Logistics - A family-owned transportation and logistics company based in Western North Carolina. The Titan Transfer, Inc. iPhone application is an easy and portable way to access and use live data from its McLeod LoadMaster™ application software. Office users can create and edit customers, locations and other master records at any time. Create, edit and dispatch loads when you're not at the office. Send wires and enter callins in seconds.